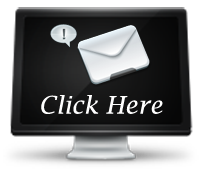 If you are ready for a bathroom remodel, now is a great time to contact Danner’s Cabinet Shop. Our team can take a look at your current bathroom and come up with cabinet remodel ideas that will work for your exact space. Maybe you are ready for a simple bathroom update, or are looking to find more storage space, or maybe you want to transform your bathroom into a sleek, modern powder room. Danner’s Cabinet Shop can help you transform your bathroom without spending a fortune. Danner’s Cabinet Shop has been providing award winning custom bathroom vanity designs for 3 generations. For many homeowners, a bathroom may go without an upgrade for many years. You may not even realize how many choices you have when it comes to a new bathroom vanity. You can choose a modern look, traditional, elegant or trendy and our crew will design and install a custom vanity that will help make your vision for your new bathroom a reality. 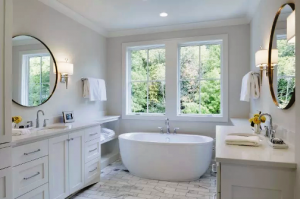 Even if you are not sure exactly what type of design you are looking for, we can sit down with you and discuss all viable options, given the size and shape of your bathroom and the style that you are looking for. We can install single or double custom vanities in a wide variety of styles. We enjoy projects where we get to help our customers come up with the perfect idea for their bathroom remodeling project. We can meet your budget, large or small. Danner’s Cabinet Shop sets itself apart by offering our clients the highest quality workmanship, using only the highest quality wood products, strong and responsive customer service, clear communication and competitive pricing. We understand that letting contractors into your home can be disruptive and stressful. Our crew will explain the steps for your bathroom remodel clearly and stick closely to our timeline and our budget. We have four decades of experience serving homeowners in the Upper Midwest. We treat each project individually from start to finish and put your needs and your preferences first. All jobs we complete are custom and unique so you will not see the same design in other homes. Danner’s Cabinet Shop specializes in custom bathroom remodeling projects in Minnesota and we hope you will consider partnering with our team to help transform your bathroom. Call our crew at 763 753-4002 or email troy@dannerscabinets.com for more information or to schedule a time to visit our showroom.